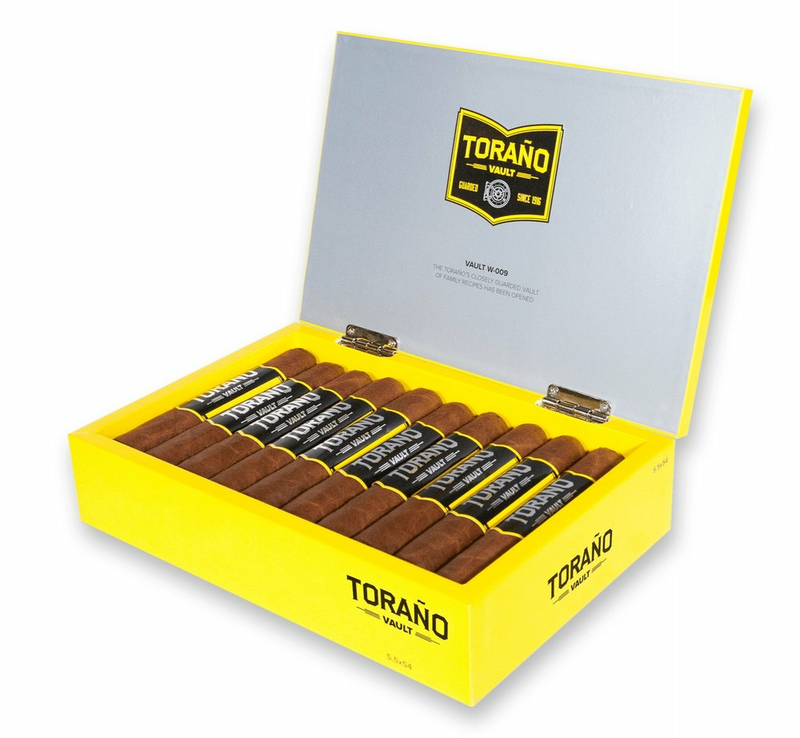 General Cigar issued a press release announcing the launch of two new Toraño blends. One of those blends is called E-021. It features an Ecuadorian Sumatra, Connecticut Broadleaf binder, and fillers from Honduras, Nicaragua, and the Dominican Republic. The cigar is available in two sizes: 4½ x 50 and 5 x 52 (priced at $5.49 and $5.99, respectively). A second blend, W-009, features Nicaraguan wrapper, Honduran binder, and fillers from Honduras. This second blend is also available in two sizes: 5½ x 54 and 6 x 50 ($6.49 and $6.49, respectively). “Our blending team in Nicaragua re-envisioned a couple of dynamic blends from my family’s original recipes. Both new lines round out the sizes available in the Vault line while continuing the tradition of exceptional blends in stand-out packaging and affordable prices. I look forward to sharing the new Vault lines with Toraño fans at cigar shops and special events across the country,” said Jack Toraño, who was recently hired as a full-time brand ambassador for Toraño, in a press release.